One of the anomalies from the Fukushima nuclear disaster is that releases of radioactive isotopes throughout the Pacific Basin are far greater in quantity than what’s indicated on the ground in northeast Japan. Reaching across the western region of North America, into the Rockies some 10,000 km distant from Japan, the wildlife count of aquatic species, birds and insects has been plummeting since March 2011. 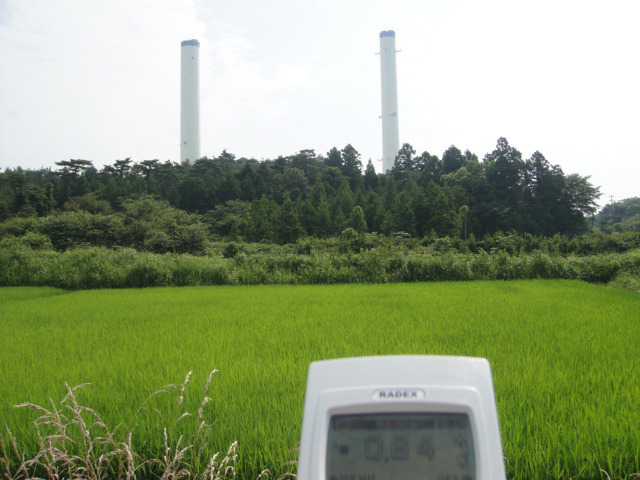 The long-distance effect should be a pale reflection of a huge toll in human deaths in and around Fukushima Prefecture. Although there’s been a decline in the Japanese birth rate and a spate of sudden deaths on train platforms in Tokyo, the island nation has witnessed only a gradual reduction in population rather than the precipitous drop anticipated soon after the disaster. What accounts for this disparity between the wide-spread radioactivity impact across the Americas versus the moderate toll inside Japan? As we learned early on, much of the nuclear releases from Fukushima was being transported eastward by the North Pacific current and the northern jetstream, much of that abetted by years of official tolerance of unchecked venting and wastewater releases. The groundwater outflows were and still are being enabled by the media myth of an “ice wall”, an expensive boondoggle that provided cover for the release of reactor coolant from the Fukushima storage tank farm. The so-called isotope-filtration equipment from AREVA and Kurion of Hanford were ineffective. For all the numbers games played by the “experts”, tossing out round-ball estimates, there’s been no containment of nuclear contamination in Japan, which soon proved itself again to be an eager exporter, this time of radioactive steel, used cars, motorbikes and bicycles. To spare itself the burden of an effective containment program, Japan has been waging a “soft” nuclear war against its Pacific neighbors. Over the past seven years, I have suggested that boring tunnels into the hard-rock Abukuma Plateau is a proven method for water storage, as done under Kanto region rivers in lieu of new dams, but the government apparently prefers overseas dumping as a type of passive-aggressive vengeance. Considering that the corium, or melted fuel rods, is mostly self-contained in the gravel and rock below the destroyed reactors, the math still would not account for the mega-effects of 311 on the environment of the Northern Hemisphere, which includes the sudden expansion of the Arctic ozone hole April-June 2011, fragmentation of the ice cap, annihilation of the wild salmon fisheries, the West Coast drought and lightning-triggered wildfires, poisoning of milk from dairy cows, and other bleak news that’s gone unreported in the mass media or falsely attributed to global warming, al in the service of course of the utilities companies that operate nuclear power plants. How then did Fukushima disaster manage to achieve such planetary destruction while Japan itself remained relatively unharmed? The underlying answer to this paradox is center of the most pervasive cover-up in scientific history, authorized at the highest levels of the UN nuclear-energy agency IAEA, the U.S. Department of Energy (DOE) and uranium-producer Canada’s Nuclear Safety Commission. After failing to warn, much less protect billions of their residents, the “regulators” in the US and Canada have been complicit in a cover-up of the rising radioactivity risk to population centers in the Americas due to their idolatrous worship of the nuclear bomb, the Moloch of our modern times. The total absence of health-related data concerning radioactive ingestion, has forestalled any accurate determination of whether a global “hibakusha” (radioactivity victims) crisis is under way, but certainly the unborn have been sacrificed in their millions through miscarriages from radioactive exposure of ovaries and abortions out of unspoken fear. By the time in the future, or perhaps never, when studies are done on the spike in heart failure and cancers on top of terminated pregnancies, it will be too late for the health-care system to launch effective preventative measures to preserve the humane genome. As in the loss of insects across the Americas due to our inaction, homo sapiens will soon be extinct. And perhaps for the better, since our collective inaction proves the streak of inbred criminal denial in our less-than-masterful species. Inexorably, as casualties mount and the economic damage spirals out of control, public anger will squarely put the blame not only on TEPCO and the deceitful Japanese political elite but also on the cowardly sold-out American and Canadian governments. Their ultimate responsibility, however, is the direct role of the US and Canada in supporting Japan’s rogue nuclear-weapons program, which lies at the heart of the 311 disaster(s). First, the meltdowns at three civilian reactors and related fires at the TEPCO Fukushima No.1 nuclear plant were not the only sources of radioactivity releases. As dangerous as it turned out to be, including the explosion of the weapons-related mixed-oxide (MOX) fuel rods inside the Toshiba-Westinghouse Reactor 3, the rate of isotope releases solely from Fukushima plant cannot account for the grandeur of scale of contaminated seawater and marine-layer moisture that’s been hitting the American shores. - a military nuclear-weapons test site in Kitakami, near its namesake mountain range, in Iwate Prefecture, north of Fukushima and Miyagi prefectures. 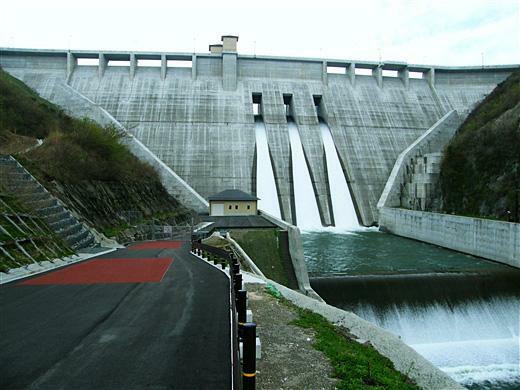 In addition, steady releases of heavy water have flowed out of a suspected tritium-extraction facility inside the hollow structure of the Kido Dam, in the hills west of Hirono town. 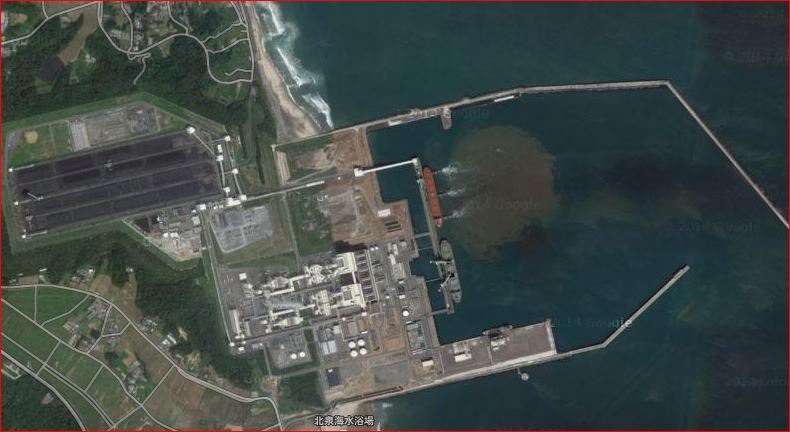 According to local residents, there are several other sensitive sites in the eastern Abukuma Plateau, making the Greater Fukushima nuclear complex one of the largest and the most-advanced warhead production site in the world. It might be noted here, though unmentioned in the video, that the military-focused nuclear program will soon be resuming at the Oma nuclear plant on the northern tip of Honshu, near the Misawa USAF base and within sight of Hakodate, Hokkaido, across the Tsugaru Strait. The remote area has no major city in the vicinity for the marketing of electricity. One of the ramifications of secret weapons development by Japan is that it compels North Korea to amass a deterrence capability, and unless the Japanese program is officially exposed and dismantled, Northeast Asia will continue to be a center of nuclear-weapons confrontation between at least five countries. The misdirection of focusing solely on Pyongyang, of course, has not only been hypocritical, it is a massive self-deception concerning Japanese duplicity over its vaunted “Three Non-Nuclear Principles”. When its warhead-production is fully functioning again it will be merely a matter of time before a revanchist faction decides to get its revenge for Hiroshima and Nagasaki, although in the meanwhile the radioactive outflows from Fukushima are doing that task quite efficiently. Headquartered in neighboring Miyagi Prefecture the Tohoku Electric Power Company (a regional utility company unrelated to TEPCO) burns North Korean coal at its Haramachi thermal plant. Curiously, none of that enormous power supply is delivered to the nearby city of Soma or to Miyagi communities across the provincial border. All of its 20,000kW output is allocated to the TEPCO Fukushima No.1 nuclear plant or used on-site for indeterminate purposes. Why does a large-scale conventional power plant have to be dedicated to powering a nuclear plant along with its own massive energy consumption? This question is the key to unlocking the secret vault of nuclear-weapons production. As exposed by my April 2011 interview with a parliamentarian who was trained in nuclear engineering, the earthquake-caused collapse of the power-transmission line from Haramachi resulted in the outage that knocked out the computers controlling the Fukushima No.1 facility, the first falling domino that led to the meltdowns. Enormous amounts of continuous power are required for the new GE-Hitachi “global laser extraction” system employing gasification, electromagnetic charging and laser-separation of enriched plutonium from spent fuel rods. This novel process defies the traditional view that Pu cannot be separated from the uranium content in mixed-oxide rods, thereby enabling vast arsenals of hydrogen bombs to now be rapidly produced from nuclear waste from civilian power plants. Research and full-on production were being conducted in secret at the three secret underground labs: Haramachi, Hirono and somewhere underground at the Fukushima No.1 site. The satellite photo of the excavated remains of the Haramachi weapons lab, which appears in the video, is on view below in the image collection, together with a slightly wider view of coal-fired plant’s coal port. Photo 1: notice the ship cleansing its bilge of North Korean coal dust. The coal is transferred along a hopper to a trucking terminus, where large trucks (the tiny white dots) convey it to the coal storage area in the upper left corner. That area is now being used for radioactive waste storage, packed inside rows of 3-ton black poly-fiber bag. Photo 2: The close-up of the rectangular pit reveals the outline of a lab, about 2-3 stories below the surface. During the post-quake excavation, a ramp for trucks was dug out, descending west-to-east, and then turning 180 degrees down to about 8 floors underground to the second deeper lab. In between the two cavernous structure areas, poly bags of low-level waste were being laid to provide a radioactive cover for the highly contaminated site, as a literal cover so that any analysts of data from ground-detection satellites would assume it’s a mere nuclear waste site rather than a wasted nuclear site. Why would a nuclear-weapons lab be positioned so close to the shoreline? Obviously for offloading US-warhead material and to transport the warheads to naval ports for loading onto submarines. In exchange for quiet cooperation in the nuclear blame game, Haramachi could also in the past have secretly supplied the DPRK with fissile materials, to create a strategic rationale for Japan’s own nuclear program. The Japanese government claimed that the Fukushima nuclear disaster took only a single life, the death of a nuclear worker. This grotesque deception was perpetrated to prevent an international investigation under the nuclear Non-Proliferation Treaty (NPT). At least 1,000 nuclear-weapons technicians and Self-Defense Force soldiers were killed inside the flooded Haramachi lab with no chance of escape or rescue due to the intense nuclear releases. Outdoors in the surrounding Minami-Soma district, high radioactivity levels forced the pullout of police rescue teams, abandoning many thousands of local villagers to die of a combination of radioactive fallout and freezing temperatures. On the edge the 20-km earliest exclusion zone, several hotspots northwest of the plan were due to nuclear materials that had been swept inland by the tsunami from the Haramachi nuclear-weapons site. In the Japanese language “hara” means a broad plain, and the stream-laced coastal plain lays flat for some distance into the interior between low hills. Due to the powerful seawater pressure, the front wave rose up the valleys (pushed from behind by tsunami force) and deposited the nuclear materials before receding. A local resident, who worked for state-run soil decontamination project, said the inland sites were left for last, being the most dangerous to health. About 2 months later, a leak from employees at the Fukushima University Medical School Hospital indicated more than a thousand bodies in white lab coats and military uniforms were being kept inside a walk-in freezer in the hospital morgue. The cynical claim that the Fukushima nuclear disaster claimed only one life omits the deaths from the secret nuclear lab at Haramachi. After frustrating disappointments in trying to set up soil-decontamination projects using phyto-remediation (vegetation-based absorption) techniques that I learned in the Altai mountains from a Kazakhstan expert at Chernobyl, I switched my research activity to the Hirono town region, south of Fukushima No. 2, as the only field researcher in that area of Iwaki municipality, which is a company town controlled by nuclear contractors Hitachi-GE. Entering the southern part of the exclusion zone by bicycle to avoid radio-frequency detection that identifies cars and motorcycles, I spent a late morning on my first incursion with an evacuee, whose house had collapsed in the 311 quake. When he rested on the stones of a low embankment, he told me: “This place is known as the ‘hot corner’ because the radioactivity has always been high here.” Since Fukushima?, I asked. At the time, I was still naive about the scale of the hidden program. “It’s been radioactive here for many decades” was his reply. 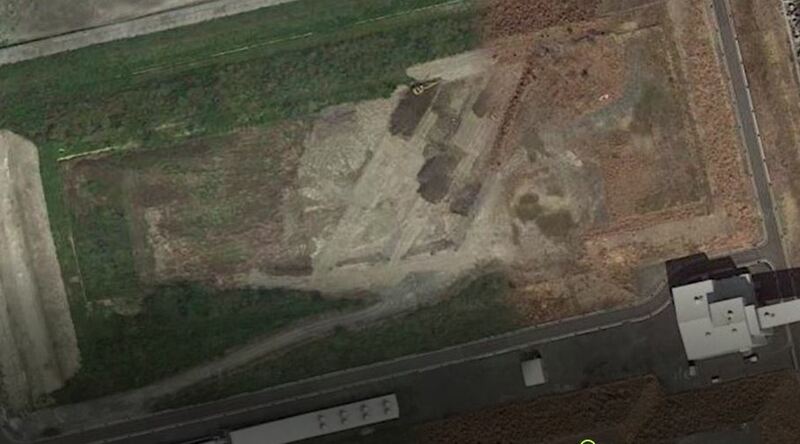 “TEPCO claims this is a conventional plant but in reality nuclear work’s been going on here for decades.” It took me the remainder of the day to begin to spot the signs and tracks. On another bike journey into the surrounding farmlands, I saw daisies bigger than my two hands put together and gladiolus stems twice my height, indicating genetic mutations causing gigantism over many generations. Indeed, behind a visual barrier of dense groves of fir trees, huge cranes were working night and day, and dump trucks roared out the gates and through the tunnels of Highway 6 to a loading dock, where waste was transferred to rail cars for outdoor storage in four inland prefectures. I could not help but feel alarmed as trucks blew off dust clouds over groups of children returning home from school. The Education Ministry had issued a nationwide order to public schools not to enroll out-of-town children so these kids were trapped on the edge of the exclusion zone. The saddest sight was to see teenage girls who had recently returned from temporary evacuation riding the local trains, with a quiet forlorn look of acceptance of their fate. “For what?” I asked. His answer: “Nobody knows”. Obviously, the payoffs were part of a sweetheart deal for the nuclear-weapons technicians on condition of their silence. Other than late-coming paltry “compensation” for evacuees from inside the exclusion zone, provincial and regional residents living in radioactive homes where the local economy has been impoverished by the nuclear crisis received not a single aluminum yen and zero tax breaks. 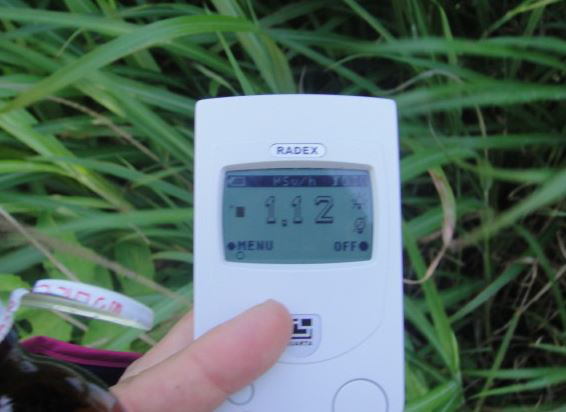 I then began tracing radioactivity levels along local lanes, following a path of high readings to the small fishing port of Hisanohama. When I asked unemployed fisherman about nuclear waste passing through their area, one old-timer told me that they had been told to stay at home when a huge pile of high-level waste was unloaded on the narrow road above the port. “Then one morning it was gone,” he said. “Where’d it go?” I asked. He shrugged. At the other end of the port, the roadside readings were low, meaning all that high-level waste had been put on barges and towed out to sea, probably for dumping in the Philippine Trench. 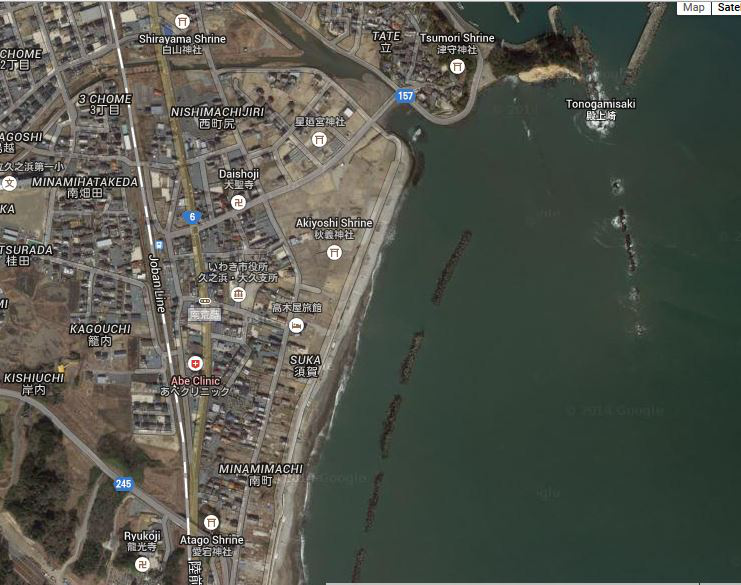 A seaside neighborhood with a view of boat lanes out to the Pacific had been wiped out by the tsunami, with an estimated (by neighbors) loss of more than 2,000 lives. Yet Iwaki reported only one death in a road accident during the tsunami. How blatant does it get? Adding a element of mystery was the lack of a single survivor from that tsunami site, meaning no witnesses were left to tell tales of past secret nuclear shipments out of the little fishing port. Some of them must have been push inshore and could grab a hold on a tree or clamber up a rock. Why was there nobody left to tell the tale of how barges have occasionally been towed toward the horizon, where a line of clouds have become a permanent fixture since 311. On another day while looking at seashells bubbled up by strontium, I noticed along a cape a rectangular band of opaque white fog, one of the unique features of tritium. Soon thereafter, a shore-dwelling couple with whom I had occasionally chatted died right after the government tripled the height of the seawall. On these incursions, I had to camp overnight in the radioactive forest areas, due to the fact that the Economy Ministry and Hitachi-GE had rented every room in Iwaki to deny accommodations for volunteers. Other than myself, none ever showed more because of NGO collaboration with the government. Locals told me not a single bottle of drinking water had been delivered to that company town during the 311 relief effort. One sunny morning after a chilly night in the “hot” rain, I was investigating how the government was rigging radioactivity detection equipment when a group of grass-cutters approached while clearing the roadsides of radioactive weeds. Needless to say, they were stunned that I had slept outdoors. They warned me to be extremely cautious of the secret nuclear security forces because over past decades many locals who entered the mountainous areas were detained, questioned and ordered never to come back by men in brown uniforms, who were neither with the police nor from the self-defense force. I took their warning seriously, and on many occasions carried my bicycle and gear up forested hillsides and waited under the eaves of abandoned houses until my pursuers gave up the chase. Then, a few years on, I traveled by car with filmmaker Phillippe Carillo, to a dam suspected of serving as a tritium-production facility. It was up a steep road at the edge of the Abukuma Plateau without human habitation in sight. We were soon joined by a truck, and we were obviously under surveillance. Then cars came roaring up and men in green uniforms ran to the entry doors of two towers on the dam to check if we had broken in. While they were preoccupied doing a full security check on the mystery dam, we tiptoed to the car and drove downhill as fast as possible. This drama was happening in “the middle of nowhere”. The villagers had not been jesting with me. The video closes with my bicycle journey in southwest Fukushima Province to an abandoned uranium mine run by Bund-1, a joint atomic bomb project of the Japanese militarist government and Nazi Germany in the late 1930s. A physicist at Fukushima University was the world’s first scientist to theorize the immense power of atom-splitting, and so the seed for the nuclear age was planted here, in this accursed soil. One of the adverse aspects of the video shooting was the burn-out of so many cameras, Geiger counters and computers due to radioactivity and the consequent necessity for ever-cheaper equipment, in addition to clothing. Unfortunately many photos were blotted out by the passage of gamma rays. For example, a group portrait of mating season for golden beetles. Deep in a forest by a stream, I spotted a circle of these shiny creatures lying dead around a femme fatale. What happened is that when the males closed in around the fertile female, the increasing radioactivity level from their bodies during the convergence killed all of them. The increase of body radioactivity levels during crowding accounts for the mystery of the sudden deaths of commuters inside the Tokyo metro system in recent years. For a survivor condemned to avoidance, and by now we’re all hibakusha, it is a path of loneliness.